Is it? Not really. But it’s pretty darn close, and about as good as you’re going to find in a supermarket freezer. This cheesecake from ALDI almost hits the mark. 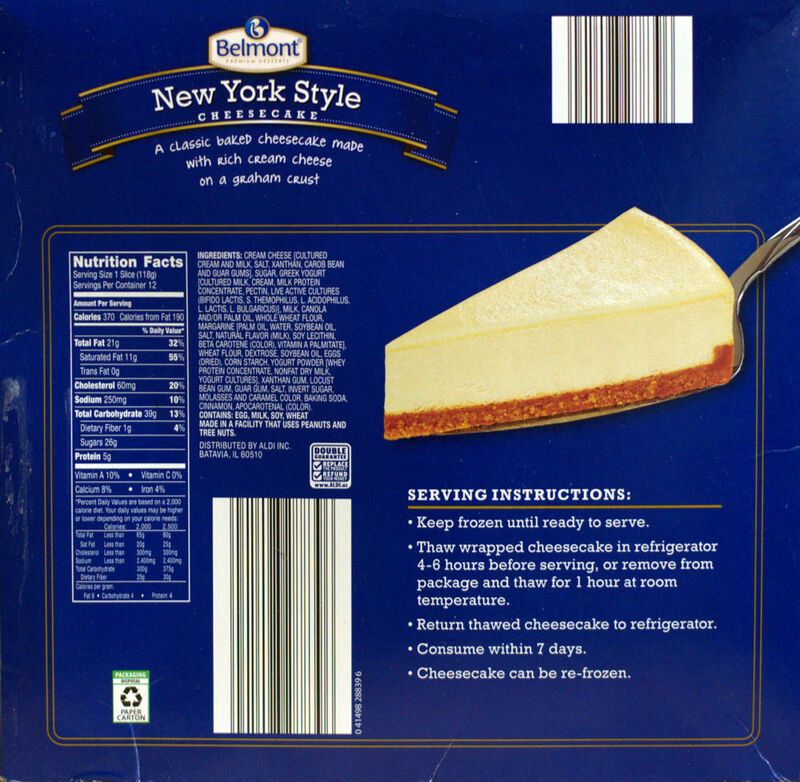 How would it compare to a traditional New York cheesecake? This one is a little too tart, but not by much. This is a little less dense, but not by very much. The graham cracker crust is definitely not traditional and adds an unneeded amount of sweetness. Regardless, it’s pretty darn good and until you get a chance to go to New York, find a neighborhood bakery (if they still exist) that knows how to make cheese cake, this will have to do. 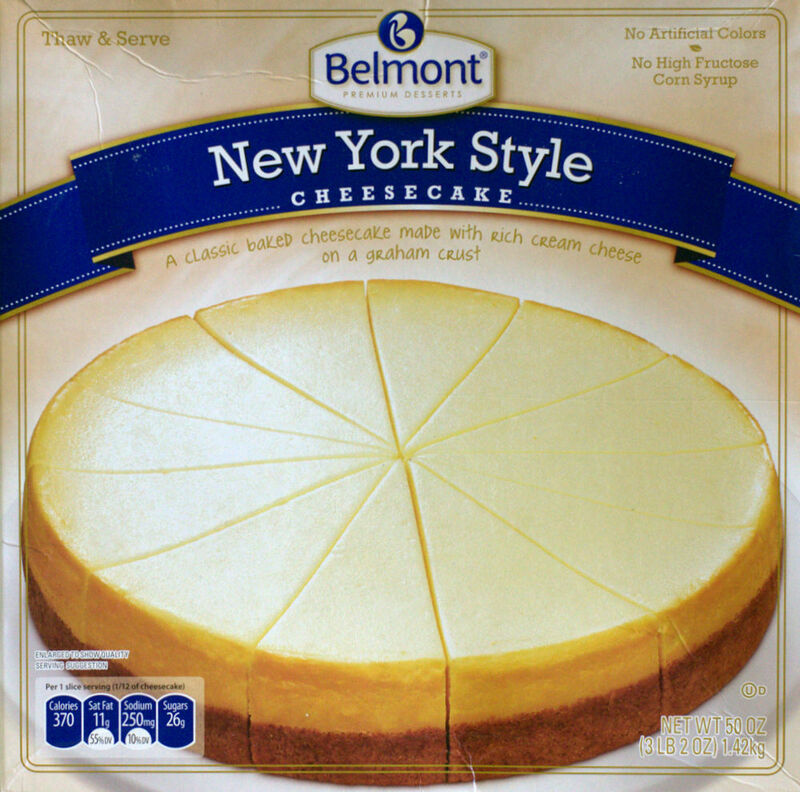 What is a New York-style cheesecake? Here’s a link that attempts to not answer that question and offers a recipe with a graham cracker crust. UGH! For the adventurous, here’s an, untested by me, recipe link that looks more original. And the sauce? Fuhgeddaboudit. This entry was posted on 01/28/2016 at 18:10 and is filed under ALDI, cooking and related items, food, Recipes, food, cooking and related items. You can follow any responses to this entry through the RSS 2.0 feed. You can leave a response, or trackback from your own site. Who did I speak with if I found a bug found baked into the cheesecake? How can I get the “Chocolate caramel cheesecake” delvevered to me. Or what store near me can order it? Wayne, I’m just a customer like you. Below is the ALDI customer contact URL – for an official answer. The best thing would be to speak with your local ALDI store manager. Some items are just seasonal and are only available for a short time. Per the ALDI store locator there’s at least one ALDI store in your zip code. Good luck. Yep, it’s pretty darn good. Have you found the two slice for $1.99 ones yet? Just as good and a little more practical for a small household.